Home / Longarm Machine Showroom Events / Longarm Guild: Getting Fancy with Circle Rulers! Longarm Guild: Getting Fancy with Circle Rulers! The Longarm Guild will be meeting next Wednesday, December 5 at 10:00am in the Quilted Joy showroom. 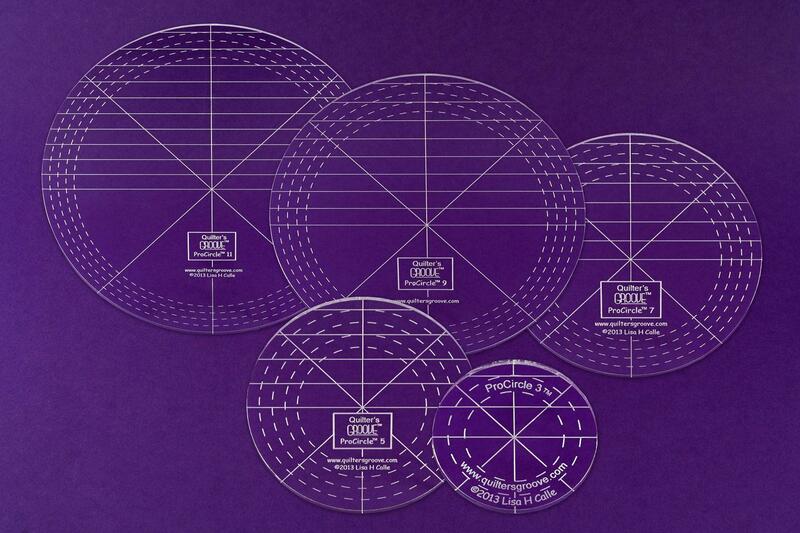 This month we’re getting fancy with circle rulers! Let’s look at how to use circle rulers in a border and a simple block design. You’ll look like you’ve got your fancy pants on when you see the final results! Bring an unfinished top for the “How would you quilt this” segment. Get input from others on how to tackle a top and your latest quilts for show and tell. Don’t forget your finished quilts for the UFO challenge! What’s a UFO? It’s an UnFinished Object, so all those quilts hiding in a closet just waiting to be quilted. If you bring a recently finished quilt (quilted and bound, label preferred but not required) for show and tell, we’ll add your name to the drawing. At the end of each meeting we’ll draw one name. The lucky winner will receive two small cones of Glide thread! We’ll save all the names and at the end of the year we’ll have a grand prize drawing. The more quilts you finish this year, the better your chances are of winning! Would you like to receive email reminders for our next meeting? Click here to sign up for the Kentuckiana Longarm Guild newsletter. With that same sign up form you can also choose to sign up for the monthly e-newsletter and the Quilted Joy blog updates. The Kentuckiana Longarm Guild is an informal gathering of quilters who love their stand up and sit down longarm machines. The group is open to owners of ANY brand longarm machine and is completely free. We meet the first Wednesday of every month at 10:00am.